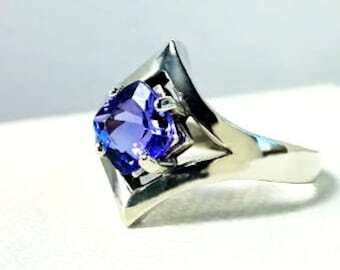 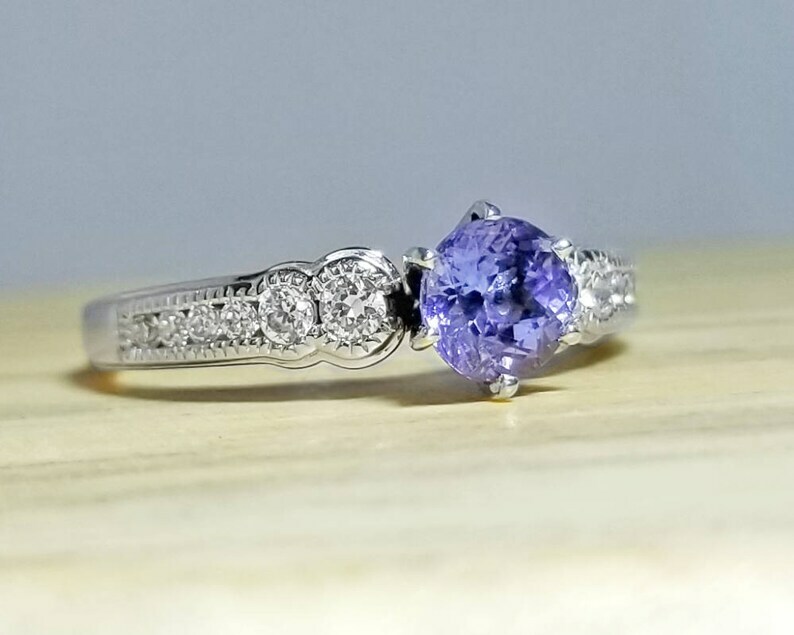 This dramatic, yet classic engagement ring features a gorgeous natural .70 ct Tanzanite accented by .25 ct of matched diamond accents. 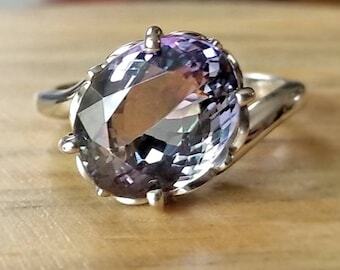 This nearly 1 total carat weight ring is a stunning engagement or statement piece of timeless elegance! 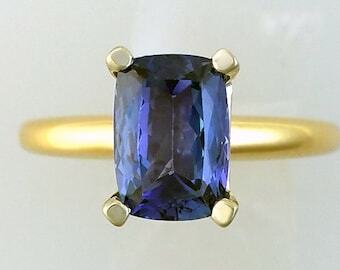 In indoor and daylight, this Tanzanite gleams with bright violet and blue tones. 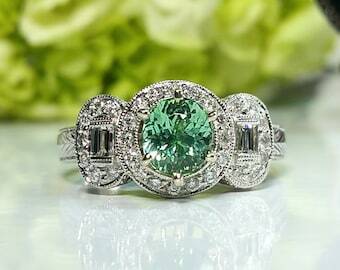 The stunning diamond accents make this gorgeous ring a breathtaking sight to behold. 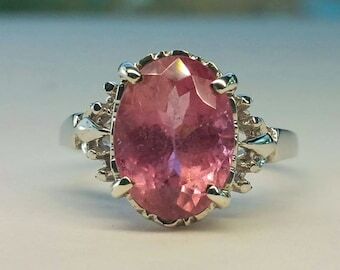 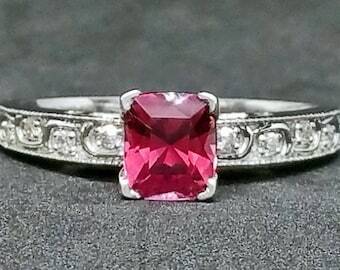 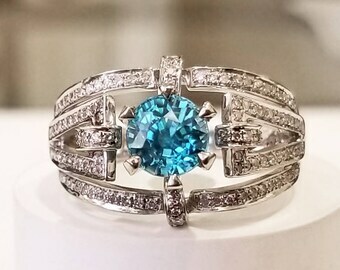 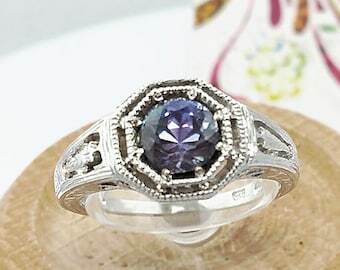 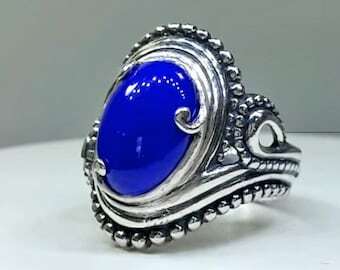 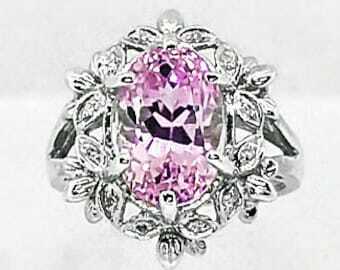 This is an exquisite, unique and captivating ring!